The idea that NO LIFE could exist without SILICA does not get enough credit or intellgent attention amongst health discussions and plays a pivotal role in nearly ALL LIFE on Mother Earth. SilaLive's meaning and foundational core concept stands in honor of the sheer inherent, innate power SILICA carries throughout so many universal biological processes. 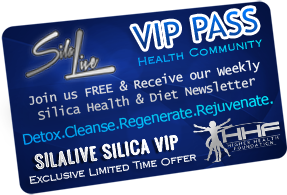 SilaLive represents ALIVE SILICA, or Living Silica that holds many profound and results-oriented healing properties that are still being discovered today. With all of the talk on the Internet lately about silica, you may be wondering just what is silica? 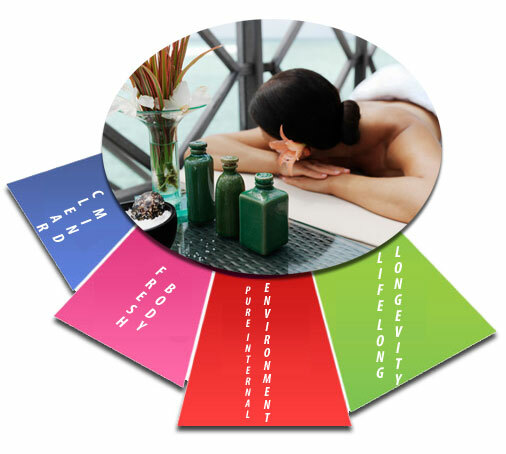 Many people, like you, have heard of this mineral but do not really understand what it is or why their bodies need it. According the MMI, or Mineral Information Institute, silica is the chemical name of quartz, which can also be known as silicon dioxide. In pharmaceuticals it is used as a filler, or in food production as an anti-coagulant. It is also used in the manufacturing of cast iron and ceramics. You can find it naturally in granite, obsidian and sandstone. After it is processed it becomes like ferrosilicon or silicon. It is also said by the MMI that silica is naturally found in our teeth, bones and skin. What Does Silica Do for Your Body? This mineral, which is the most abundant mineral in your body, acts as the stabilizing force in your body. It helps to restore the balance which is necessary between magnesium and calcium. If you did not have this balance you would be experiencing hormonal problems. Silica also stabilizes a lot of different structures, which includes bodily tissues, arterial walls and membranes. Your body will also use this mineral to form collagen, which is the protein that is responsible for keeping your skin from developing wrinkles. Maybe most importantly, silica allows your body to absorb calcium, which will help you to have healthy and strong bones. There are many different benefits to taking this supplement on a regular basis, and together with sulfur it will help to give you nails and skin that are healthy and youthful in appearance. Internally, silica can give your immune system a boost and also help to keep your artery walls flexible, which can maybe eve prevent heart disease. Silica has been noted to being able to keep your hair from falling out as well. Other benefits include the fact that silica is very important in your skeletal system developing. Without this important mineral, you would have bone deformities. Without this important mineral, your body can’t assimilate phosphorous very easily, which is very important in repairing tissue, making bones and filtering waste, so silica also acts as a detox for your body as well. According to experts, a Silica deficiency can have a direct influence on the degenerative process, often times speeding up the aging process. For osteoporosis, silica is very important as well because it could be even more important than calcium as it does the job of depositing minerals into your bones and it also speeds up healing if there is a fracture. Plus, when you add silica supplements to your daily diet, you may not only restore your body’s ability to demineralize, but you can also relieve pain from osteoporosis that already exists. Since it aids in forming collagen, silica acts as an anti-aging agent since it helps your skin to retain moisture. It will appear more radiant, plump and youthful looking. The recommended amount that you should have daily of silica is 55 mg.Your body needs to maintain at least 7 grams of Silica in it at all times. You can get this from dietary sources (not over processed foods), plus supplements. It is estimated that most adults typically ingest between 14 and 42 mg per day. 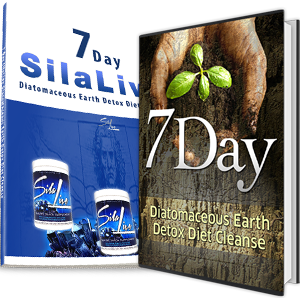 Most of these supplements you can take have organic silica in them or Diatomaceous Earth, which is very rich in silica. Other herbs that contain this important mineral include nettle and comfrey. But don't worry, any excess silica that is taken and that can't be used by the body will be elminiated from the body through natural processes such as bloodstream, kidneys, and intestines. Since silica levels decrease as you age, the elderly may need larger amounts. Researchers and scientists have long thought that Alzheimer’s disease is perhaps linked to aluminum building up in your brain, and links between drinking water supplies having aluminum in them and Alzheimer’s has now been determined. Something that gets overlooked is the fact that silica can reduce the aluminum accumulation in your body. When researches have added this mineral to water supplies that contain aluminum, it prevented the aluminum from being absorbed. It also caused a large amount of aluminum to be excreted in urine and lowered the concentrations of aluminum in the liver, brain, kidneys, bone and spleen. Therefore, silica could be very important in support your neurological health. As you can see, the benefits of silica are many, and these are just a few. Including this mineral in your daily diet can help you keep your body running properly and healthy in many different ways.